Devour endless miles with some room for gear. Or strip it down and carve city streets. The all-new Sport Glide™ is locked and loaded for whatever, whenever. You’ll be riding on the most advanced frame we’ve ever offered — the completely redesigned Softail® Inverted front forks and a fully adjustable, monoshock rear suspension let you dial-in the perfect combination of performance and comfort. And the rigid-mounted, counterbalanced Milwaukee-Eight® 107 engine delivers piles of white-knuckle power the way only a Harley-Davidson® motorcycle can. So strip it down or load it up. 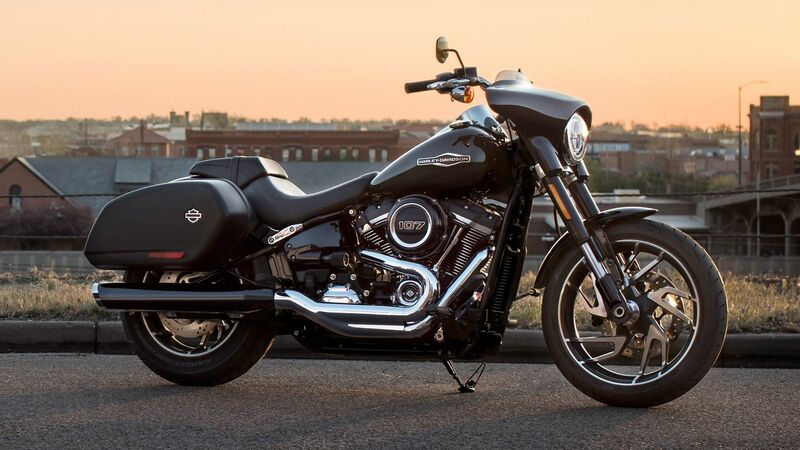 Either way, the all-new Sport Glide™ is ready to take you on the ride of a lifetime.